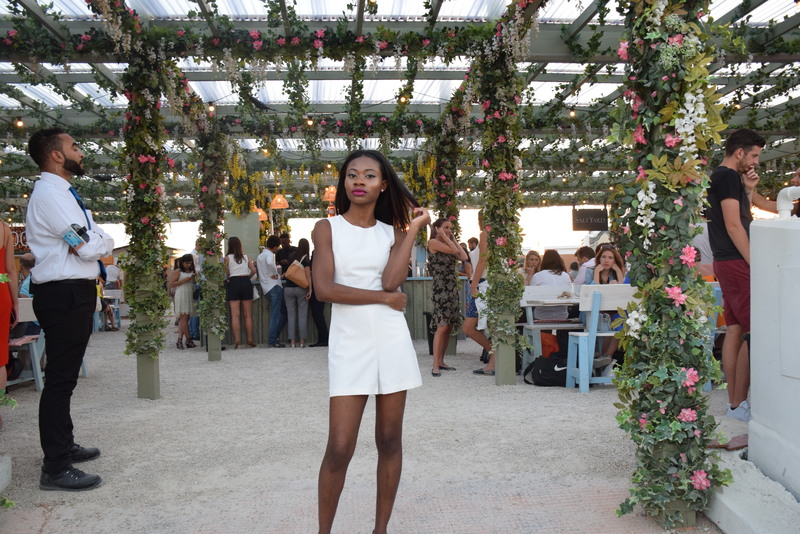 It’s surreal that I’ve gotten my blogging groove back after being gone for almost 7 months. A lot has happened during my absence, I started my YouTube channel, networked, and met amazing people I can call friends. I found it quite intriguing that the littlest things/moments can motivated you to resume an hobby you once thought you’d never go back to for a while. 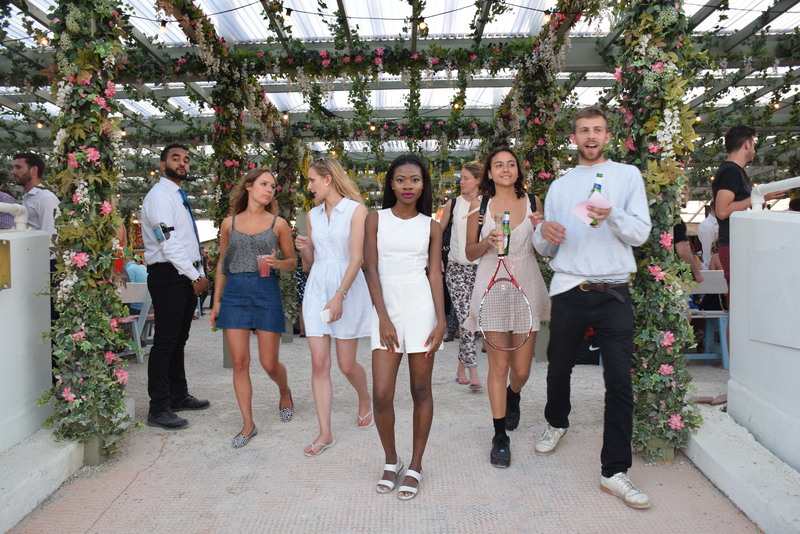 Last night Lauren, Adama and myself journeyed to Pergola on the roof, a Mediterranean inspired rooftop restaurant, suited on the top floor of a car park in Shepherd’s Bush. Upon arrival we queued for 45 minutes before we were allowed entry to the pop up eatery, the security man directed us towards the lift that immediately took us to the top floor. 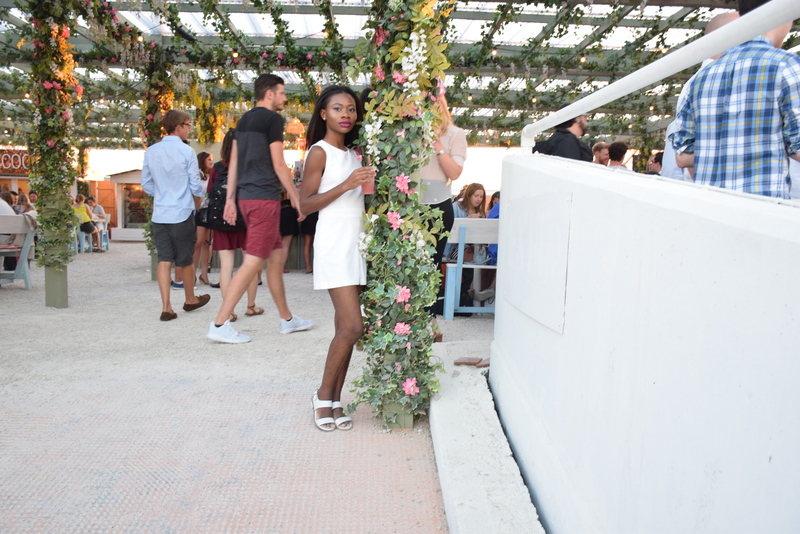 As we came out and stepped into the roof terrace, we instantly noticed it’s Mediterranean theme and we were in awe. It feature four London’s finest restaurants – Rabbit, Salt Yard, Patty & Bun and LECOQ. Spoilt for choice, we checked out each stall before we decided to get Pork belly Brioche with crackling, pickles and apple puree at LECOQ – the food was scrumptious and we couldn’t get enough of it. Once we were done eating, we proceed to take pictures for our blog and well … Instagram duh! I mean if you went somewhere amazing and didn’t capture it for the gram or Snapchat, did it really happen?